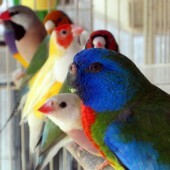 A private breeder of Gouldian Finches and Pacific Parrotlets. 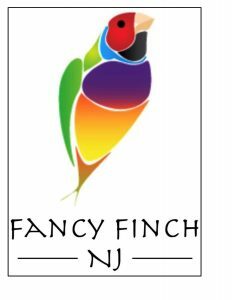 Small breeder specializing in Gouldian, Owl, and Society Finches. Green back, blue back, yellow back, and silver back Gouldian Finches. Normal and Fawn Owl Finches. 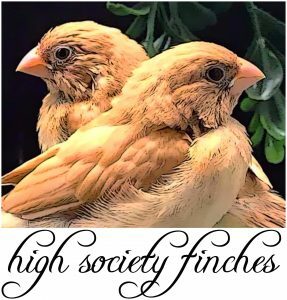 Normal, common society finches (Great for fostering). Small breeder specializing in Euro, Pearl, American Self and Pied Society Finches. Note: We DO ship via United Cargo – PetSafe. Currently mainly breeding a small number of gouldian finches, societies, star finches, shaft tails, turquoisine grasskeets, scarlet chested grasskeets, and bourkes. Other species may be available. Feel free to email me to inquire. Breeder of green aracaris, whitebacked mousebirds, and other small birds. Shipping is available through airlines only. Animal education programs available. 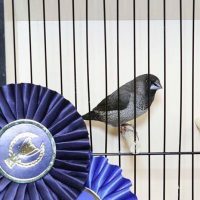 Hobby breeder of Society Finches, Zebra Finches, Java Sparrows and Button Quail. Shipping available through USPS. Quality birds at great prices! Specializing in Softbills & Zoo-type birds. We have been raising softbills for almost 20 yrs & are currently working with over 25 different softbill species. Occasional surplus for sale. Author of “Mousebirds In Aviculture”, contributing author of “Hand-Rearing Baby Birds”, and several magazine articles. Turacos, Mousebirds, Hornbills, Barbets, Tanagers, Babblers, Starlings, and More. We are hobby breeders of Australian finches: Heck’s grassfinch/Isabelle & normal; Long-tailed grassfinch/yellow beak; Parson’s/fawn & Creme-Ino; Masked; Owl/normal & brown mutation. Please contact us for information on purchase or trade. Specializes in Lady Gouldian Finches. Has been breeding for 18 years. Shipping through airlines only. 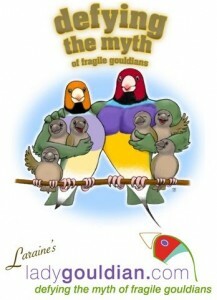 Website contains information on Lady Gouldians, Canaries and most information pertains to all finch species. e-commerce accepts major credit cards. US Importer for Dr. Rob Marshall’s Health Products, also carries Morning Bird, Twin Beaks and many other national brands. Try our NEW referral program and receive $5 off your order! Anyone who refers a new customer receives a $10 store credit. 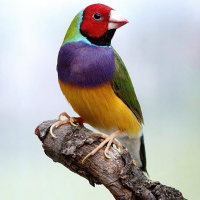 Breeder & Exhibitor specializing in Gouldian and Exotic Finch health, with emphasis on diagnostic microscopy. 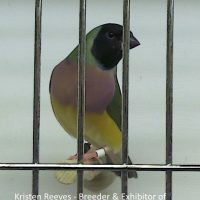 Hobby Breeder in Brighton, MI specializing in lady gouldian finches, all colors and mutations. Also breeding owls, strawberries, redhead parrotfinch, blue face parrotfinch and frilled societies. Normal, Yellow and Dilute Lady Gouldians and Owl Finches. All closed-banded and parent-raised indoors. No shipping. 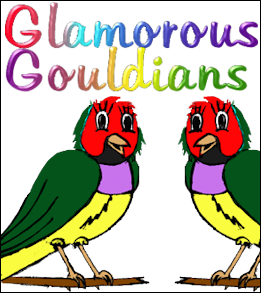 We have been breeding Gouldians & Societies since 1997. Many of these birds have earned Top Bench status in NFSS sponsored bird shows. My birds are bred in individual breeding cages, so the parents can always be confirmed. Extensive records are kept and a certificate comes with each Gouldian purchased showing it’s parents, grandparents and great grandparents. Many repeat customers due to healthy stock. Call for further information. New hobby breeder of Lady Gouldian Finch, Normal Green Backs and Yellow Backs. My birds are all bred indoors in individual cages so parents can be verified. All chicks are NFSS closed banded. I do sell my juveniles from prior breeding seasons but don’t usually ship but arrangements can be made if interested in purchasing.I have a great strong stock and blood line from a well known breeder in Tuscon Arizona. Hi, I am a new member. Could you poi t Mr in the right direction to list 8 gouldians for sale. 2 yellow back males and 6 gens, some red head and some black. I am looking for 2 red face Star Finches, I live in the Houston area, any help would be appreciated. We have some waxbill experts in our group in facebook. Your welcome to join our Facebook group. We’re listed as – National Finch and Softbill Society (NFSS)- I’m sure you can ask and should get expert responses. I am looking for. Red Faced parrot finch hen! Is there a breeder. I am a new member who lives in Honolulu, Hawaii – a State which protects itself from unwanted disease by rejecting all live birds mailed in by otherwise approved US postoffice methods unless accompanied by all kinds of records and approvals. Even finding these is a chore. Anyone have canaries or finches here within the State of Hawaii I could purchase from? Have been eager to have a proper flight cage/ a aviary on my lanai and do right by them. Hi colleagues, nice paragraph and pleasant urging commented at this place, I am really enjoying by these. I looking for Show Quality English Zebra Finches, I would love to find VERY Large English Zebra Finches with excellent body form. If you have any references please email me at. mbrotherton2@icloud.com or PM me via Facebook.